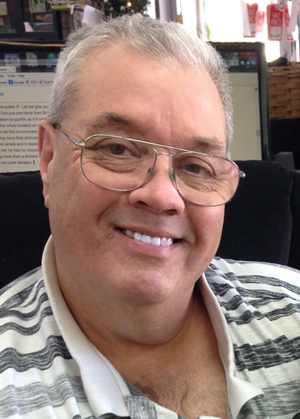 ﻿RONNIE DUNAWAY﻿ | Contributing Writer - "One Upon a Time... In Slidell"
Ronnie is a lifelong resident of Olde Towne Slidell. He graduated from Slidell in 1974, then graduated from Southeastern University with a major in Criminal Justice and a minor in English. After many years in the grocery business, he decided he needed a change. In 2001, he received his State, Federal, and IRS Financial Licenses and opened RBD Check Cashing Company. Since that time, he provides several types of financial services to his customers. In 2007, he opened "The Who Dat Shoppe" in Olde Towne, which today is one of the most successful team fan shops in the state. Ronnie joined the writing staff of Slidell Magazine in 2014. His passion and primary goal in writing is to preserve Slidell's history – all done through the eyes of a 10 year old boy growing up in the 1960's. Ronnie’s unique (and brilliant!) writing style has garnered a fan base of thousands, making “Once Upon a Time...in Slidell" one of Slidell Magazine’s most popular features. Ronnie is very active with just about everything that happens in Olde Towne. He makes it very clear that the work ethic his parents instilled in him as a teenager is the reason his businesses are successful.